Well, the title is a bit misleading. It wasn’t just Danny Elfman [so no Oingo Boingo, just to get that out of the way here]. 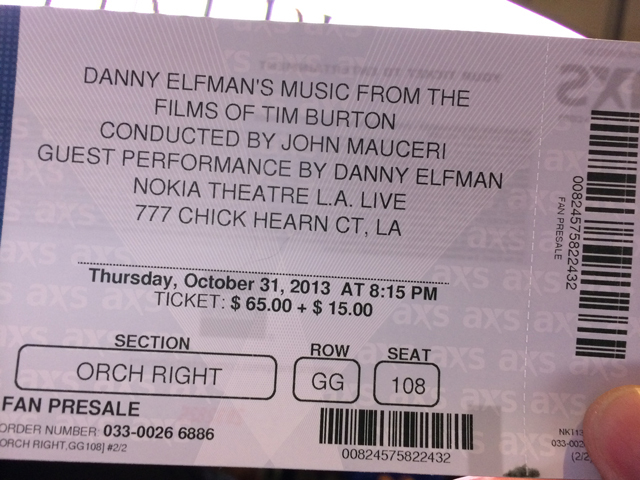 It was an orchestra and a choir – The 45-member Page L.A. Choir – performing the music from the Tim Burton films that Danny scored. Thanks to my friend Joy, I was able to get pre-sale tickets before this Halloween night show sold out. There were 2 previous performances at the Nokia [and one in the UK earlier in the month of October] but the final night was the originally-scheduled show. The Nokia Theatre is huge. Seats about 7.000 people. As we came into the theatre, the above image was on the center and side screens. 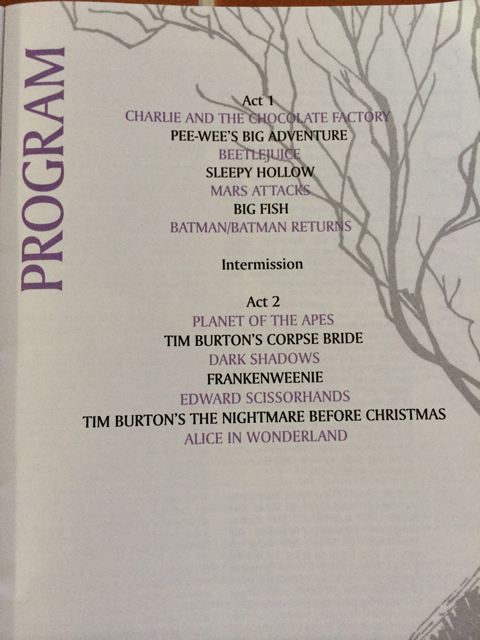 The list of all the Tim Burton movie scores were well represented in a 2.5 hour performance that was many levels of awesome. 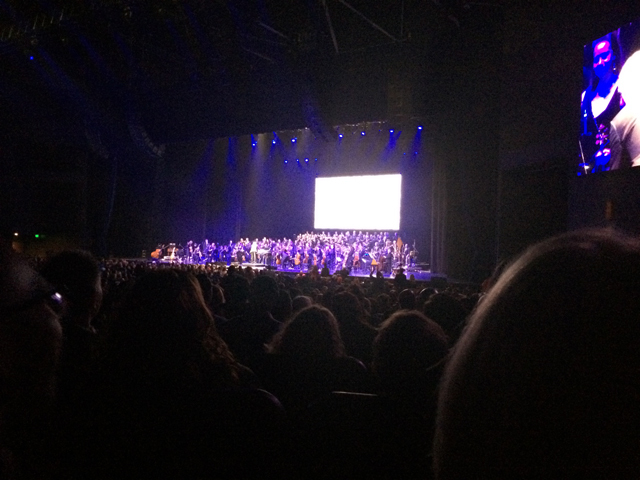 As the music played, each one of the songs garnered an applause from the sold out crowd. Most of the orchestra members played on the original scores, so they knew the music very well. And it was evident in the start with the all-too-familiar music from “Pee-Wee’s Big Adventure” to the massive thundering “Batman” theme and the whimsical “Beetlejuice” sounds. I was very impressed with the conductor John Mauceri, who guided both the orchestra and the choir throughout each tune, song and movement. 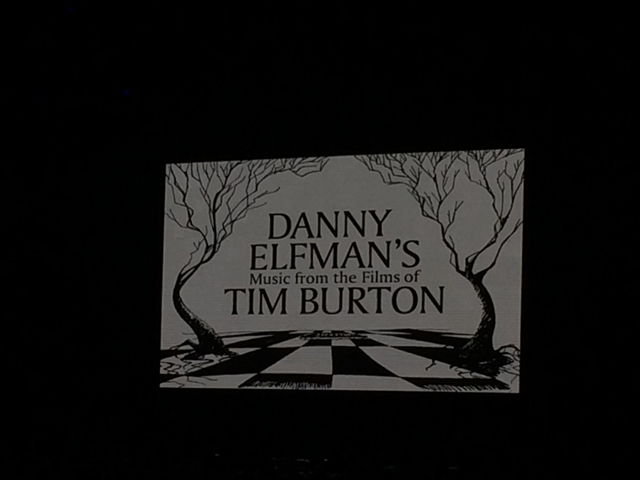 And of course, the moment the crowd went nuts for was when Danny Elfman came out soon after the music of “The Nightmare Before Christmas” started, reprising his vocals of Jack Skellington. Just about every note he sang was flawless. His strong voice was spot on. He commanded each word of the songs he performed. The only flaw of the night was the surprising omission of the song “This Is Halloween”, which would have been a perfect song to hear on this final night of the performance. Otherwise, for someone who hasn’t performed in front of an audience in almost 18 years, he certainly didn’t show any weaknesses. For those wishing for a surprise, there were a couple. 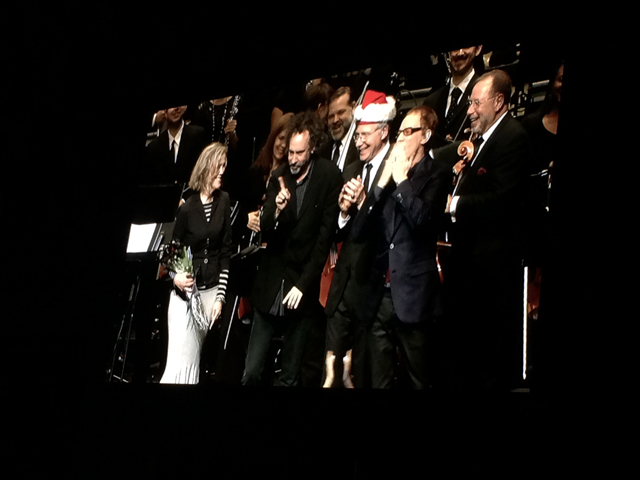 Catherine O’Hara came out to sing her part as Sally, the rag doll character. Stunning in every way, she proved herself on many vocal levels. On one of the last encores, Tim Burton came out to a standing ovation, and spoke a few words of appreciation to the crowd. This was an event I was most happy to have traveled to. 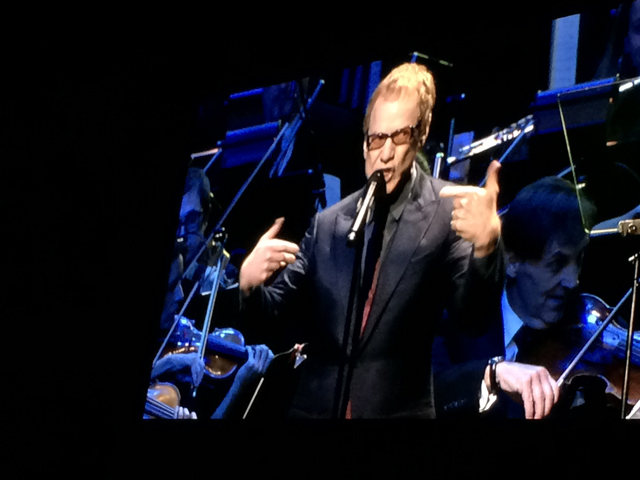 So good to see Danny Elfman on stage again and to hear the music from movies I love performed live. 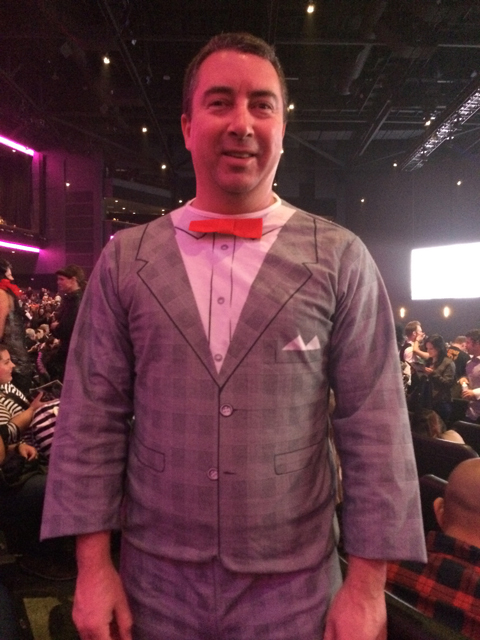 I dressed up as Pee-Wee Herman, in an original costume from 1986. 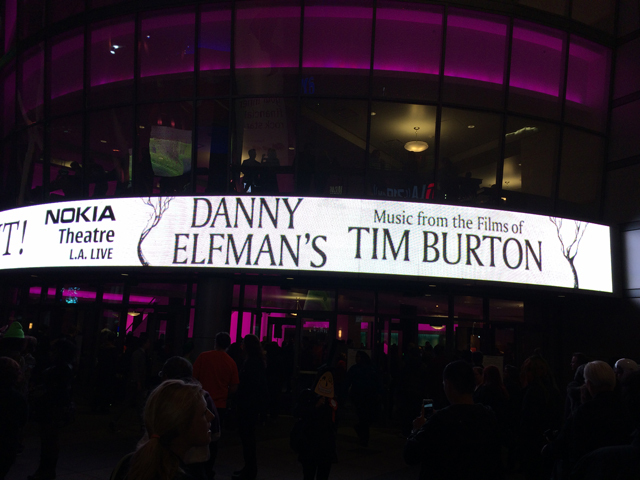 One of my favorite movies, Pee-Wee’s Big Adventure, was Danny Elfman’s big screen debut collaboration with Tim Burton. So what better way to celebrate this event then to dress up as Pee-Wee. 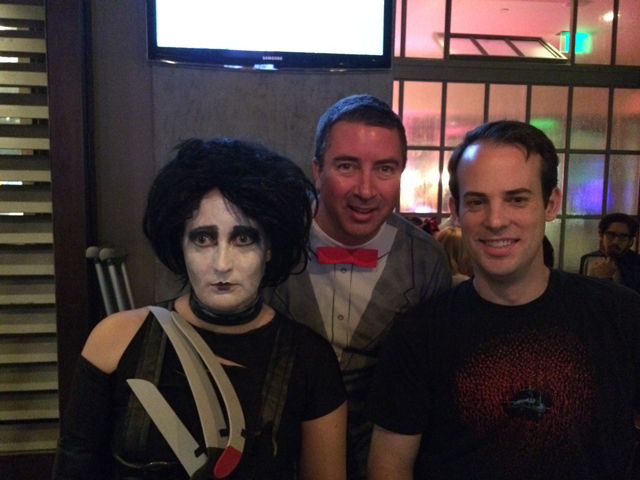 This costume I wore was the original from 1986. Fit me just fine. It was encouraged to dress up, and many did. From all sorts of Tim Burton movies. 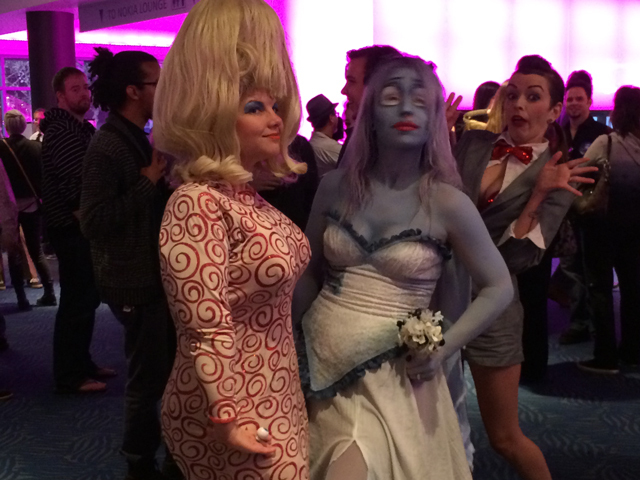 Lots of Pee-Wee, Sally, Jack and Batman costumes. And even one from Mars Attacks, which was well done as you can see above. Before the concert, my wife and I met up with some friends at a place called Public School 612 in downtown Los Angeles. Joy and Blake, who recently got engaged and Karen, who Joy has known for many years. This was my first time meeting Joy in person. I’ve been chatting with her on Twitter for several years now. Our mutual friend Catherine, who lives in New York, had us started following each other on Twitter. Joy is just as much a fan of many of the bands and music I love. 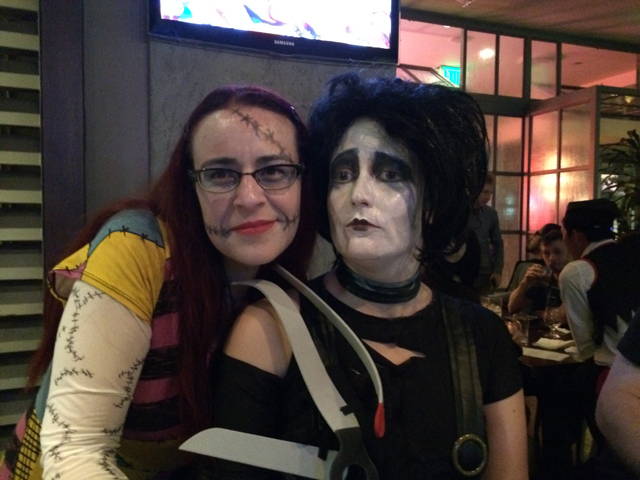 She dressed up as Edward Scissorhands and her costume turned out really great. Joy’s friend Karen dressed up as Sally from The Nightmare Before Christmas. It was my first time meeting her as well. Fun times, several beers and some great happy hour eats were had. My wife loved meeting new people and we all had a great night. 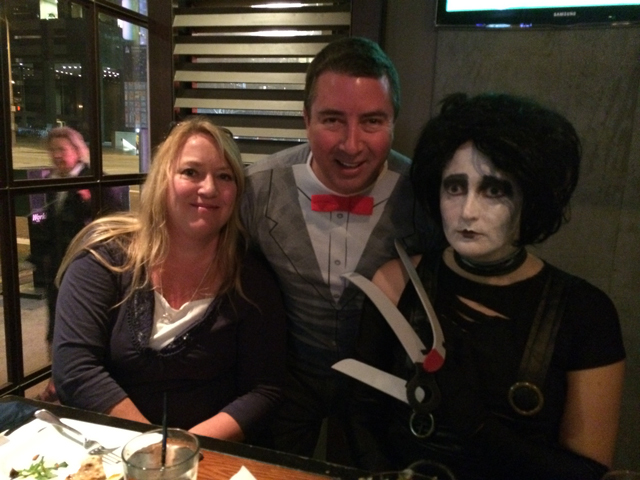 I look forward to hanging out with Joy, Blake and Karen again – sans costumes, but with much booze and music. It was a very awesome night. One of the things in life that I’m glad I got to do. Oh how freaking cool! I wish I could see this. I hope it will eventually go on tour. One can hope at least. I’m going this yr on halloween-glad 2 see peeps dressed up!! Can’t wait even though I’m not sure who I’m going to be yet …oogie would b cool!